We exist to provide support and help one another. 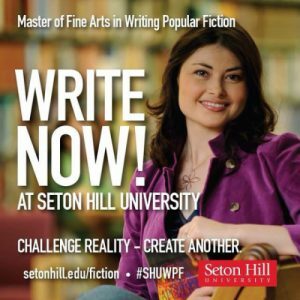 Our purpose is to foster a writing community for both alumni and current or prospective students of the Seton Hill University Writing Popular Fiction program. We do this through our network of online sites and the annual In Your Write Mind Workshop. We are passionate about providing and maintaining a scholarship fund for students in the Writing Popular Fiction program. 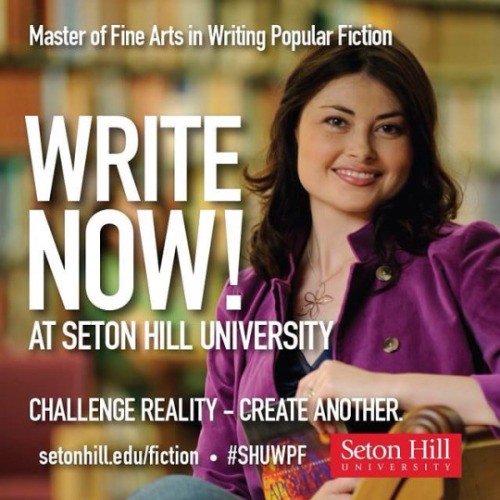 While we encourage every aspiring writer to join the Writing Popular Fiction program, we welcome all writers (alumni or not) to join us for the In Your Writing Mind Workshop held every June in Greensburg, PA.
Seton Hill University Writing Popular Fiction Alumni Association. 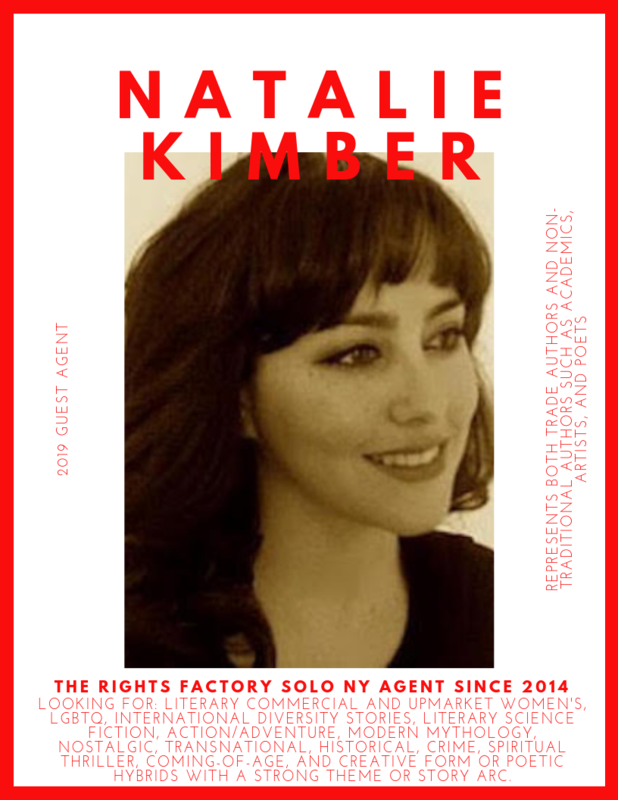 Natalie Kimber has worked with The Rights Factory as their solo New York-based agent since 2014 and previously worked with the Georgetown University Booklab and Literary and Creative Artists in Washington, D.C. She represents both trade authors and non-traditional authors such as academics, artists, and poets. She is also the associate acquiring editor for Monologging.org, the lead organizer for NYC Writers Circle and the founder of the Weehawken Writers and Artists Studio. 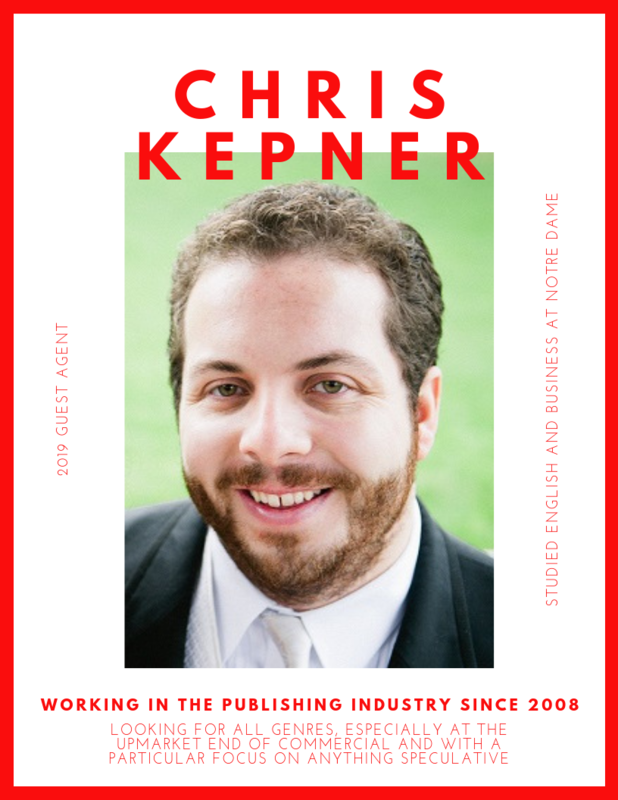 Chris Kepner has been working in the publishing industry since 2008, both as a literary agent and as a director of international rights. Kepner has negotiated hundreds of book licenses all over the world and launched his own agency. He is looking forward to discovering authors for his new list in all genres, especially at the upmarket end of commercial and with a particular focus on anything speculative. Kepner studied English and business at Notre Dame. 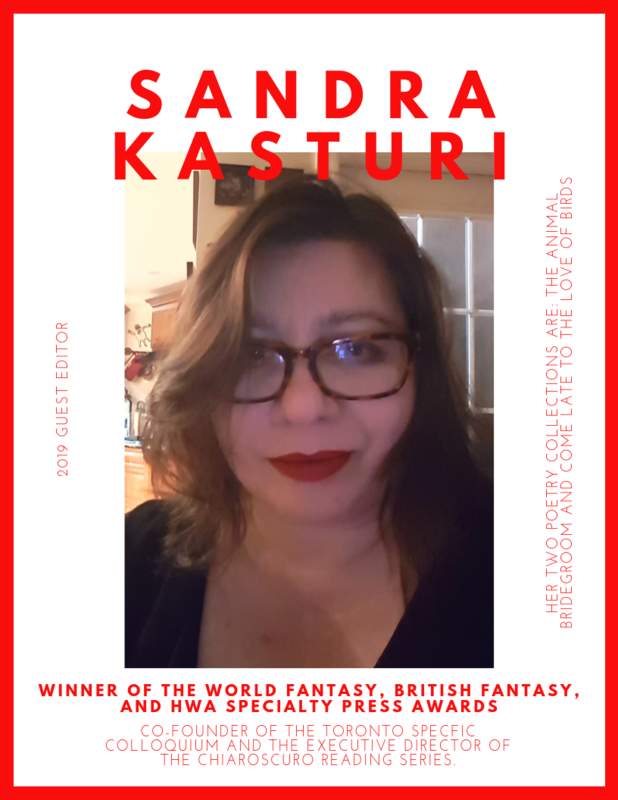 Sandra Kasturi is the publisher of ChiZine Publications, winner of the World Fantasy, British Fantasy, and HWA Specialty Press Awards. She is the co-founder of the Toronto SpecFic Colloquium and the Executive Director of the Chiaroscuro Reading Series, and a frequent guest speaker, workshop leader, and panelist at genre conventions. Sandra is also an award-winning poet and writer, with work appearing in various venues, including Amazing Stories, Black Feathers: Dark Avian Tales, Prairie Fire, several Tesseracts anthologies, Evolve, Chilling Tales, ARC Magazine, Taddle Creek, Abyss & Apex, Stamps, Vamps & Tramps, and 80! Memories & Reflections on Ursula K. Le Guin. Her two poetry collections are: The Animal Bridegroom (with an introduction by Neil Gaiman) and Come Late to the Love of Birds. She is fond of red lipstick, gin & tonics, and Idris Elba. 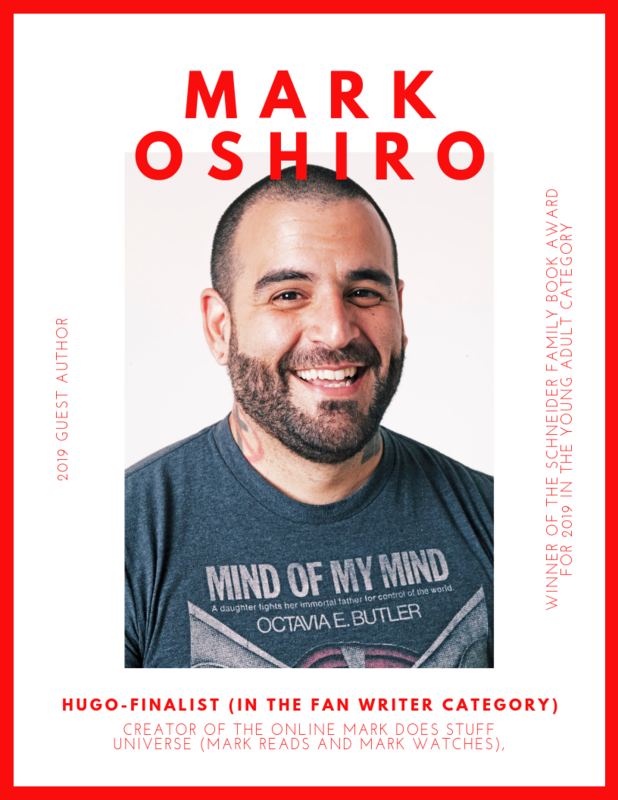 Mark Oshiro is the Hugo-finalist (in the Fan Writer category) creator of the online Mark Does Stuff universe (Mark Reads and Mark Watches), where they analyze book and television series unspoiled. They were the nonfiction editor of Queers Destroy Science Fiction! and the co-editor of Speculative Fiction 2015 with Foz Meadows. Their first novel, Anger is a Gift, is a YA contemporary about queer friendship, love, and fighting police brutality, out now with Tor Teen. It was the winner of the Schneider Family Book Award for 2019 in the Young Adult category; it was also nominated for the LGBTQ Children’s/Young Adult category in the 2019 Lammy Awards. When they are not writing, crying on camera about fictional characters, or ruining lives at conventions, Mark is busy trying to fulfill their lifelong goal: to pet every dog in the world.